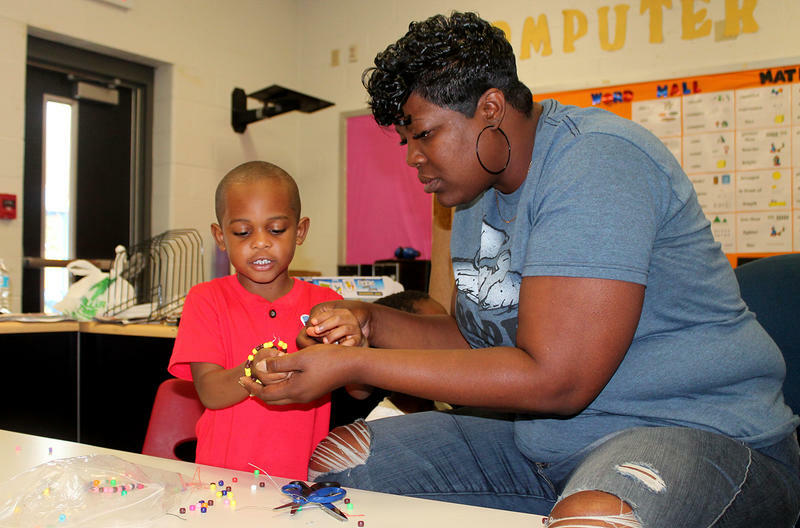 Head Start teaching assistant Shavonda Willis helps Jemez Jackson Harris IV close a bracelet he made to practice patterns June 23, 2017. At a table strewn with beads on Friday, Willis coached Jemez Jackson Harris IV through creating a bracelet with a color pattern. “Yellow, yellow, brown, brown,” Jemez sang, as he touched each bead. Jemez and his classmates will be starting kindergarten at East St. Louis District 189 in the fall. Before enrolling in the free summer course run by Southern Illinois University-Edwardsville’s East St. Louis Center, the kids had never experienced school. 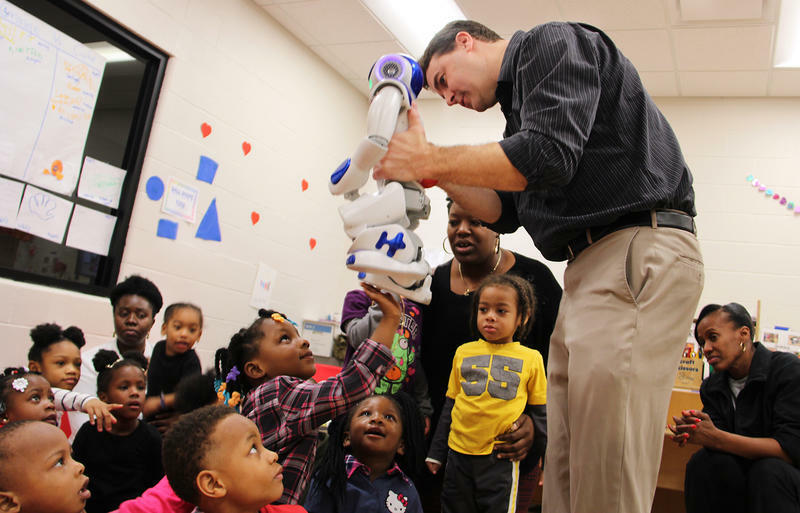 The center, which runs Head Start for about 1,500 children throughout St. Clair County, began offering the program last year to help a bridge the gap between kindergartners who’ve been to a high-quality preschool, and those that haven’t. According to the center’s analysis of district records, more than 60 percent of East St. Louis kindergartners fall into the second group. “Kids who have one full year of Head Start come into kindergarten at or above grade level in math and reading. The down side was that makes up only about 40 percent of the incoming class in East St. Louis,” said Jesse Dixon, executive director of SIUE’s East St. Louis Center. Head Start teacher Chea Wyatt guides Kennydi Harris through an exercise Friday at the East St. Louis kindergarten readiness camp. 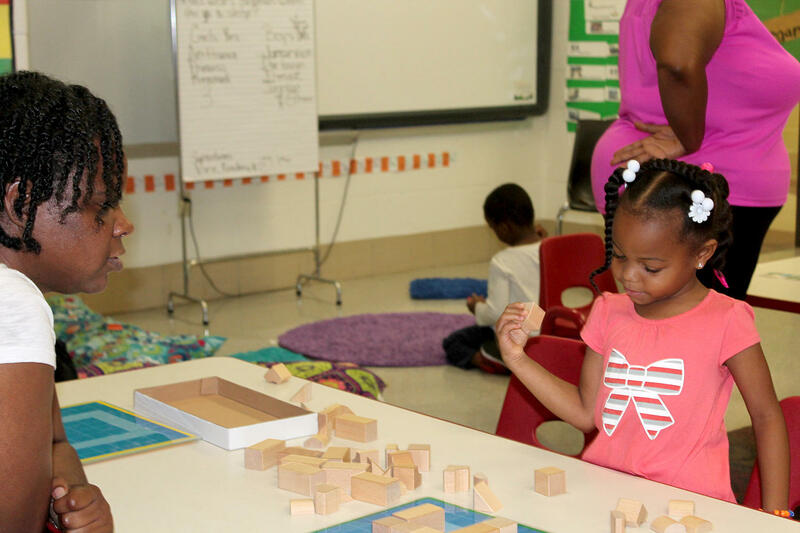 While the kindergarten readiness program includes lessons on letters and numbers, the center focuses more on teaching classroom norms and mental skills, like recognizing patterns. SIUE professor Martha Latorre, who designed the program’s curriculum, said building memory, control and adaptability lays a foundation. “If a child has those skills very strongly, they are much more successful in kindergarten, really independent of how much they have learned as far as alphabet and those kinds of things,” Latorre said. During the pilot program last year, and again this year, Latore tested the soon-to-be-kindergarteners on qualities such as the ability to take turns in addition to traditional academic skills. Last year she found a significant increase in student behaviors such as self-control at the end of the camp, but less significant academic improvement. But center director Jesse Dixon said the first measurement can make a big difference in the kindergarten classroom. “Are we going to be able to, you know, get them reading in six weeks? Are we going to be able to get them completely immersed in those numeracy competencies and things like that? No, but we can help get them some exposure, which will help,” said Dixon. Sydney Stigge-Kaufman, director of strategic partnerships for the East St. Louis district, agreed. Last year about 32 children attended the kindergarten readiness camp, this year Latorre said about 25 students are enrolled. 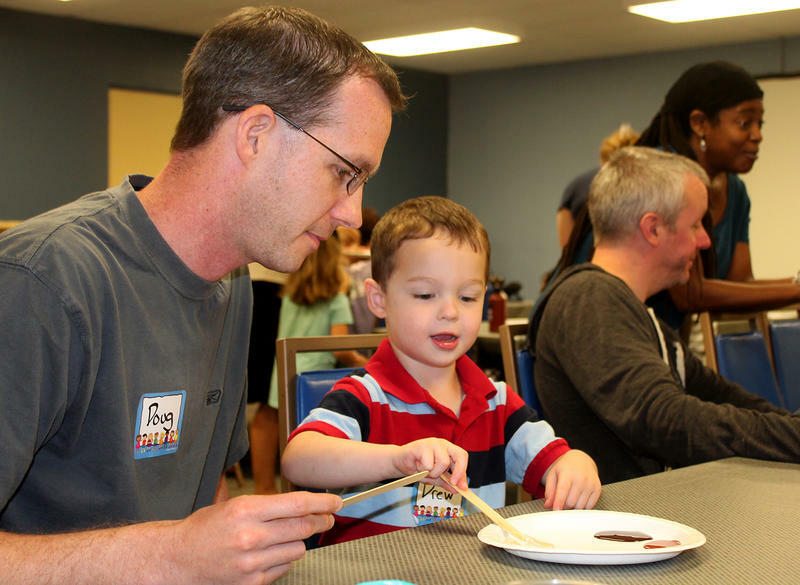 A $65,000 grant from Boeing allowed the center to expand capacity from 40 last year to 80 this year, but Latorre and Stigge-Kaufman said it’s been hard to locate the families who aren’t already connected to early childhood education. This year’s program runs through July 11, and the center is still accepting students.